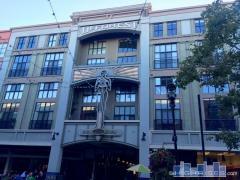 The Globe is a 5-story mid-rise located in Downtown San Jose that is home to 76 one, two, and three-bedroom units. Amenities at The Globe include beautiful courtyards, a fitness center, secure garage parking, and in-unit laundry. Have any comments or questions about The Globe? Ask your question and/or share your thoughts about this Building.